Dress up your table for the holiday season with some DIY antler decor. Antlers add a rustic touch to your home and can be easy to obtain. You may have found some sheds on your own property or there is always Craig’s List. 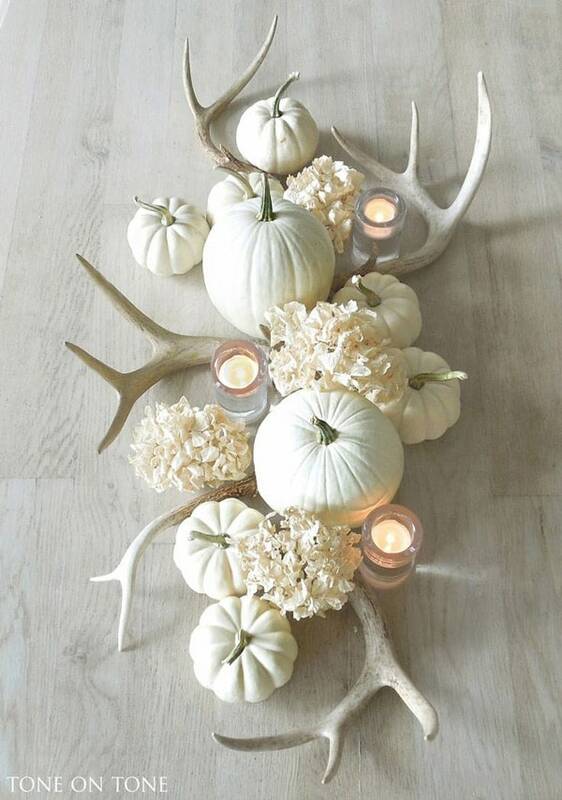 This is one of my favorite images from Pinterest lately and it inspired this post – an arrangement of white pumpkins, blooms, a few candles and antlers make a stunning display. Bonus points if you actually have a washed out table with similar coloring to create the monochromatic look. Photo source > Tone On Tone.